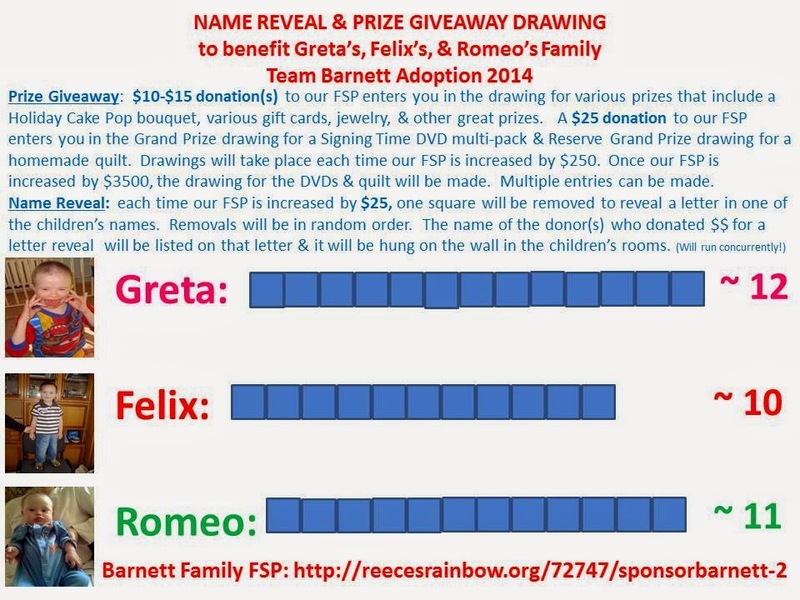 As the final fundraiser for our adoption of Greta, Felix, and Romeo, David and I are launching a NAME REVEAL & PRIZE GIVEAWAY DRAWING. Our goal is to raise $3500 during this fun & exciting fundraiser!! 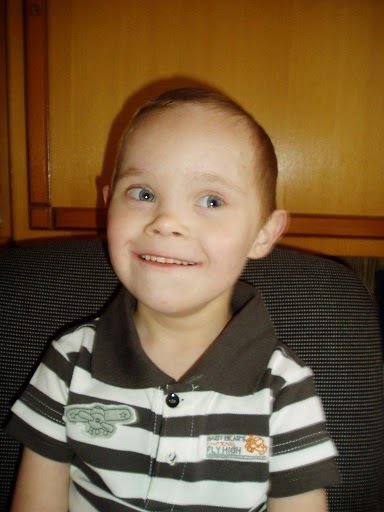 ALL DONATIONS MUST BE MADE TO OUR REECE'S RAINBOW FSP GRANT PAGE. 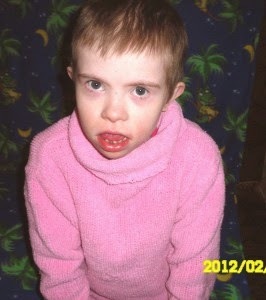 AS A BONUS, YOUR DONATION IS COMPLETELY 100% TAX DEDUCTIBLE!! So, it's a win-win, right?!? 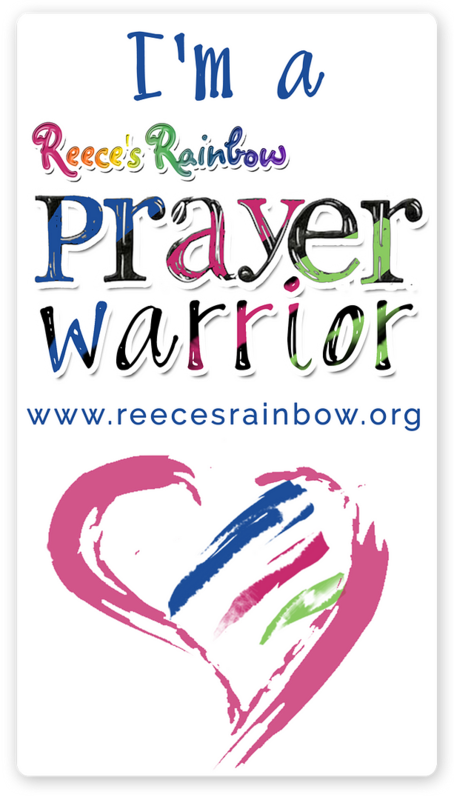 Click HERE for our Reece's Rainbow FSP Grant Page. 100% of our RR FSP Grant will be distributed to us once we receive travel dates ~ which should be, by the Grace of God, in JUST A FEW WEEKS (!!!!!) 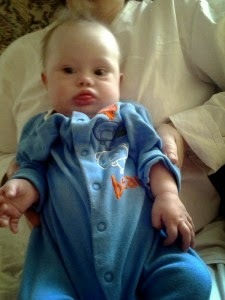 ~ and will be used toward travel and in-country fees for our adoption of Greta, Felix, and Romeo. 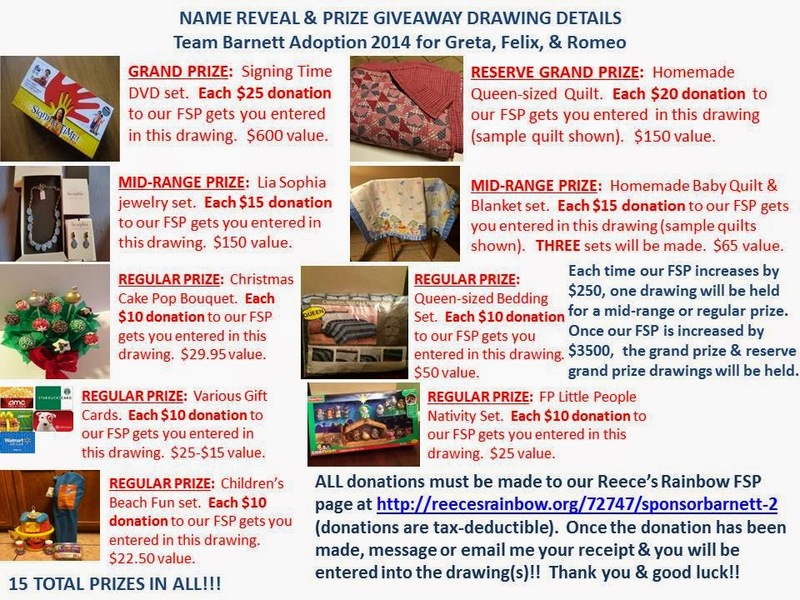 If you make a donation of $25, you will have one (1) entry in the the drawing for the Grand Prize & the Reserve Grand Prize, two (2) entries for the Mid-Range Prizes, and three (3) entries for the the Regular Prizes!! If you make a $50 donation, you will have two (2) entries in the drawing for the Grand Prize & the Reserve Grand Prize, five (5) entries for the Mid-Range Prizes, and six (6) entries for the the Regular Prizes!! Each additional $25 in your donation will double the respective entries!! 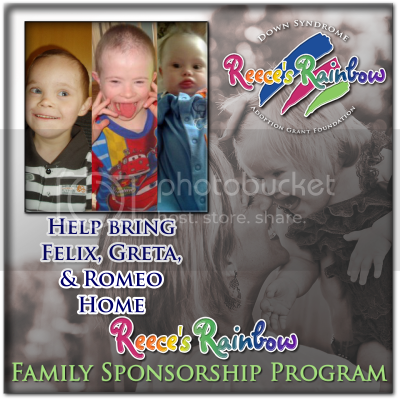 Once you make a donation, message me on Facebook or reply to this blog post so that I can give you my email address in order to send me your donation receipt from Reece's Rainbow. Prizes will be mailed or hand delivered (if you live near me) once they are drawn, so I will need your address as well. 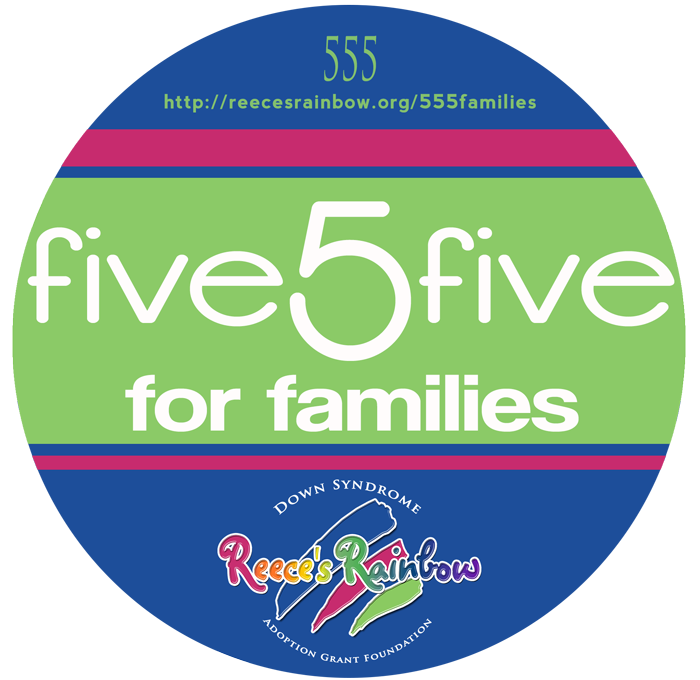 Our Reece's Rainbow FSP currently has $2918.59 in it. Once it reads $3168.59, the first drawing will be made. The second drawing will be made once it reads $3418.59. This will continue until it reaches $6418.59, at which time, the drawing for the Grand & Reserve Grand Prizes will be made. Please feel free to message me on FB or reply to this blog post with questions. Good luck, my wonderful friends!! Thank you in advance for joining us on our journey to bring our precious Greta, Felix, and Romeo home! We remain absolutely humbled and grateful for your outpouring of love and support. We are truly blessed! Side note: to remain above reproach and show that we are good stewards of the donations made to our RR FSP grant, David and I will gladly provide specific information concerning our adoption costs and how our grant money was specifically used once we are home with our children. Just ask!! Now, let the fun begin! Ready...Set...Go!!! !